Do you know how frustrating it feels to keep attracting the wrong love partner or being stuck in a dull love relationship no matter how successful you are in other areas of your life? What you don't know that you don't know about your past is holding you back from having a loving and nurturing future. ...then you have arrived to the right, confidential, awakening and enlightening zone to heal all that and be able to attract healthier and happier relationships, starting with YOURSELF! I help men to create healthy and happy relationships by disrupting the hidden patterns that have them attracting the wrong women. I WANT TO BOOK A SCOPE SESSION NOW! Whether my clients have gone through painful breakups and/or divorce, or are looking for a wonderful love partner, or want to spice up their marriage, they simply didn't know what they didn't know until I started working with them on what was truly holding them back from a very deep level of emotions. "...When I worked with Nanybel for a very short time the light began to come on in so many areas that I simply had not been able to see by myself. Her experienced insights helped me take off layers of false ideas, one after another very quickly. It was like peeling an onion or having a light start to shine brighter and brighter week after week. I am an online researcher, so I have access to a large volume of information on any subject I care to learn about, but I have never seen or heard of a consultant that helps people in a matter of days. If you have had relationship problems, or really if you just want to have the best life possible generally, I cannot recommend Nanybel Salazar and her 90-day program enough!" "Nanybel is the truth. I came to her because I was tired of being alone. I just plain felt lonely. I wanted her to help me to clear up my energy so that I could attract someone amazing! We are just in our first 6 weeks of working together and already I have had some major changes to come about in my life. I have helped my son move into his own apartment. Set myself up to move back home and help my parents move to the big city. Begun to take courses to advance myself at my new job. I am enjoying each one of my relationships that I already have so much more with friends and family. I enjoy my alone time and I am in control of my life. Nanybel has helped me to open more up to myself. I see more of the beauty that is not just within me, but my outer beauty. I have started taking better care of myself regularly instead of sometimes. I am not feeling lonely. I am feeling clear and excited about where I am in my life right now..."
If you are ready to leave behind the old relationship story and create a brand new, healthy and happy one this is your golden opportunity to truly check-mark it in record time! 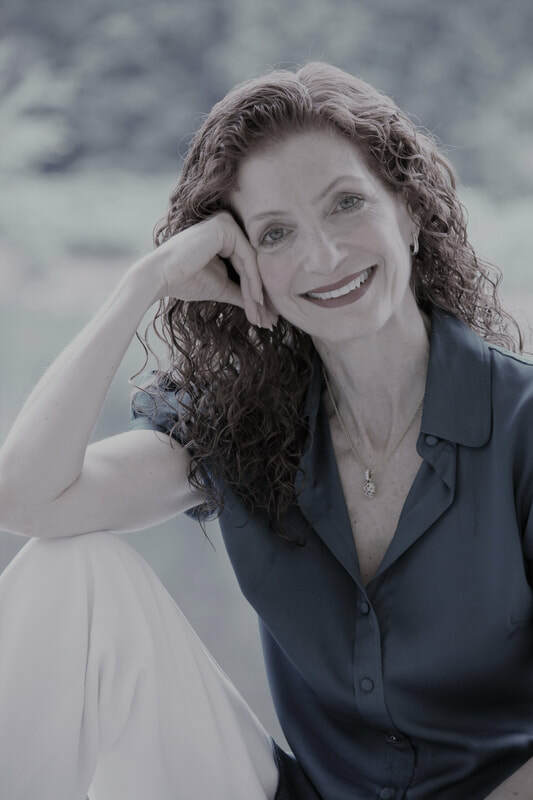 If you commit to transform your relationships for the better after having an insightful and eye-opening Scope Session with me, I will be thrilled to offer you my unique, non-traditional, very effective, Personalized Program that you have seen nowhere else. Most people believe that they know what happened and why, but the truth is they don't, because they are either caught up in the obvious or have bought into myths and taboos that shaped our perception of reality since we were babies and don't even know what are THE questions to ask. - How do you know that what you want is what will make you happy? - How do you know the true, hidden story that is keeping you from enjoying healthy and happy relationships when all you can see is what you perceive to be the obvious? - How do you know that you are a good love partner? - How do you know that you are a good love-maker? Discover what lies beneath YOUR relationship stories and start healing right away. Book a private and safe 30-minute Scope Session with me now! You will discover very fast all the taboos and myths that got you into undesirable relationships, unlearn all useless paradigms and relearn how to finally heal and enter a fulfilling relationship with YOURSELF that will make a ripple effect in every relationship you have, have had or are about to have. How do I know all that? Because I have been there, plenty of times. I know your pains. I felt the same way. And I learned the very long (34 years to be exact), hard way. tired of not receiving the help I needed after spending incredible amounts of money and precious time on ineffective counseling and therapy from various professionals in very different parts of the World. Yet I still believed in love and in everlasting, committed and happy relationships. I wanted to have practical tools to heal fast, and so I tried numerous modalities, some of which worked to an extent but most did not. My determination (perhaps the right word is stubbornness) got me walking a different, very steep path to discover the truth on my own. I dug in deeply for years at a time; read and tried everything that I believed would give me some insight and relief; conducted surveys and very private interviews; talked with lots and lots of people along the way who were going through different versions of the same problems I was facing, or had faced and experienced it. I discovered several behavioral and emotional patterns. I found what questions to ask. I discovered the answers. And then I felt the urge to assist others just like you to spare you the pain and grief that I went through. It has been an incredibly difficult but rewarding journey. My clients experience a major transformation within the first 4 weeks. You see, my unconventional practice is not taught in schools or by obtaining certifications. I don't teach theory learned only from books, coaches and teachers. My expertise comes from years of study, never-ending and ongoing researches, learning the power of an effective communication, seeking the absolute truth about human relationships and interactions, my very real life experiences, and that of others who have shared theirs with me. Should you decide to start your new journey with my assistance, I will tailor a unique, Private and Personalized Program designed just for YOU based on the clues that transpire from your Scope Session, and present to you what you can expect from my services. I am confident that you will choose, with my personal support, to truly heal, become whole again, start a brand new, healthier and fulfilling relationship with yourself and then with other people. To purchase my compelling Amazon #1 BESTSELLER book just click below!